Eastern Mennonite field hockey alumnus Janelle Hurst-Mazariegos (’92) is starting up a league to help introduce local people to the sport. The Massanutten Field Hockey League will start with practices the week of Aug. 29 and males and females in grades 6-9 are invited to join the league. Games will start that weekend. All games will be played Saturday mornings on EMU’s turf field, with the first games on Saturday, Sept. 3. The league gives local kids a chance to have fun building character, stamina and friendships while learning the great game of field hockey. 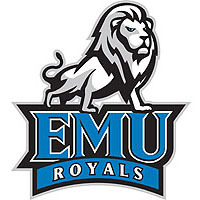 Eastern Mennonite has had a highly successful field hockey program since 1970, although many of the players actually come from eastern Virginia, Pennsylvania and Maryland.